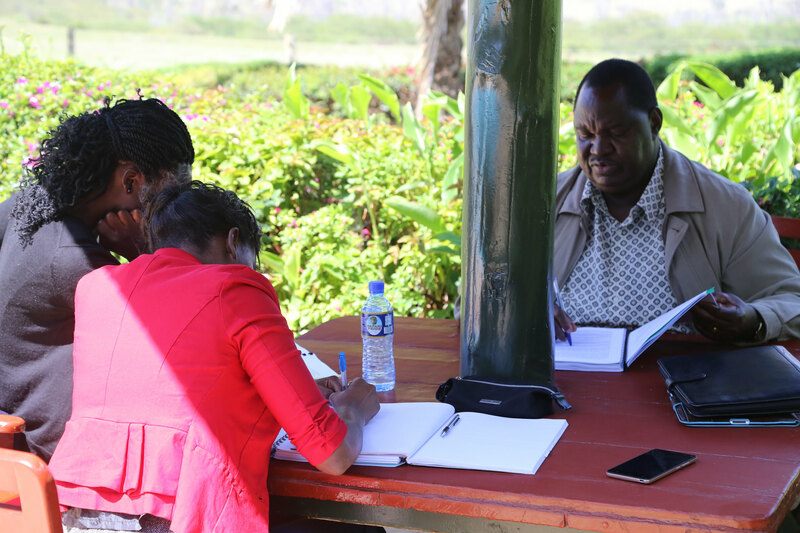 Participants of the ATT Academy meet in Lake Nakuru National Park in Kenya. ATT nevertheless report they need technical assistance and training to implement the Treaty effectively. 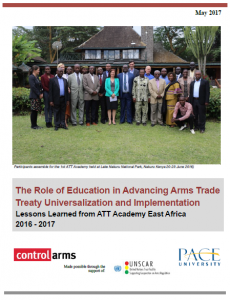 Responding to these concerns, Pace University’s International Disarmament Institute in partnership with the Control Arms Secretariat organized the ATT Academy 2016-2017, a year-long program of education, research and training on the Treaty for carefully selected East and Horn of Africa officials and key civil society activists. This project was supported by the UN Trust Facility Supporting Cooperation on Arms Regulation (UNSCAR). In this report on lessons learned in the project, participants report that the ATT Academy provided them with in-depth knowledge of the ATT, enabling them address accession and implementation challenges in the region. Organizers learned that the ATT universalization and implementation effort will require an educational component, to share information, technical expertise and lessons learned. A targeted, intensive, longterm, in-person and contextualized program of training is better than one-off seminars. High-impact pedagogies like simulations and group discussions are often more effective than a lecture format alone.